Youth are, by definition, the future. This book brings initial analyses to bear on youth inthe five BRICS countries: Brazil, Russia, India, China and South Africa, which are home to nearly half of the world’s youth. Very little is known about these youth outside of their own countries since the mainstream views on “youth” and “youth culture” are derived from the available literature on youth in the industrialized West, which is home to a small part of the world’s youth. This book aims to help fill in this gap.The handbook examines the state of youth, their past, present and permits the development of insights about future. The BRICS countries have all engaged in development processes and some remarkable improvements in young people’s lives over recent decades are documented. However, the chapters also show that these gains can be undermined by instabilities, poor decisions and external factors in those countries. Periods of economic growth, political progress, cultural opening up and subsequent reversals rearticulate differently in each society. The future of youth is sharply impacted by recent transformations of economic, political and social realities. As new opportunities emerge and the influence of tradition on youth’s lifestyles weakens and as their norms and values change, the youth enter into conflict with dominant expectations and power structures.The topics covered in the book include politics, education, health, employment, leisure,Internet, identities, inequalities and demographics. 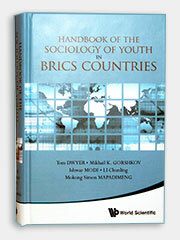 The chapters provide original insights into the development of the BRICS countries, and place the varied mechanisms of youth development in context. This handbook serves as a reference to those who are interested in having a better understanding of today’s youth. Readers will become acquainted with many issues that are faced today by young people and understand that through fertile dialogues and cooperation, youth can play a role in shaping the future of the world.
. Handbook of the sociology of youth in BRICS countries / edited by Tom Dwyer (University of Campinas, Brazil), Mikhail K. Gorshkov (Russian Academy of Sciences, Russia), Ishwar Modi (University of Rajasthan, India), Chunling Li (Chinese Academy of Social Sciences, China), Mokong Simon Mapadimeng (University of Limpopo, South Africa). 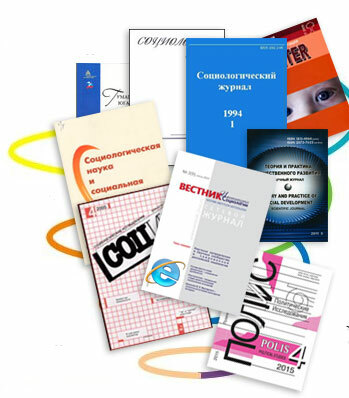 - World Scientific Publishing Co.Pte.Ltd. 2018. – 1074 p.